The Seattle Seahawks and Baltimore Ravens Football Clubs are incorporating MasterCard(R) PayPass(TM) contactless payment technology into the MBNA Seahawks and MBNA Ravens Extra Points credit card programs. Seahawks and Ravens fans currently benefit by using the no annual fee MBNA card program to accumulate points for every net retail dollar they spend. The program will be functional for the 2005 football season. With MasterCard PayPass, Seahawks and Ravens fans won’t miss any of the action standing in lines or fumbling for cash. Seahawks and Ravens fans will be able to simply tap their new MBNA Seahawks or MBNA Ravens Extra Points credit card on specially equipped merchant terminals throughout the stadiums when purchasing refreshments or souvenirs. MasterCard PayPass uses radio frequency technology to transmit payment details wirelessly between the PayPass device and the merchant’s terminal. The transaction is then processed through the MasterCard network for clearing and settlement. MasterCard PayPass acceptance is ideal for sports venues and other cash-heavy environments, such as quick serve restaurants, drug stores, and movie theaters, where speed and ease of use are essential. PayPass-enabled cards, like other traditional MasterCard cards, also include magnetic stripe technology, so cardholders can use the cards anywhere MasterCard is accepted around the world. Last year, the Philadelphia Eagles launched a similar implementation of MasterCard PayPass acceptance at its stadium. MasterCard is continuing to explore further deployments of PayPass at sports arenas throughout 2005, providing sports teams and merchants with the opportunity to offer new payment and reward applications and increase customer loyalty. 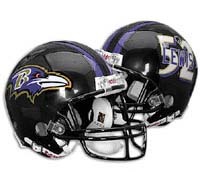 To apply for a MBNA Seahawks, Ravens or Eagles Extra Points card, fans can sign up by logging on to www.mbna.com, or by calling MBNA at 1-800-932-2775. Additional information regarding MasterCard PayPass is available at www.paypass.com.